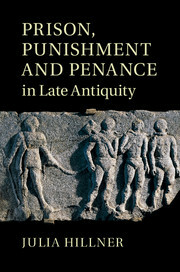 My new book, Prison, Punishment and Penance in Late Antiquity, due to be published in May 2015, tracks the long-term genesis of a late antique legal penalty, forced penance in a monastery. This paper will aim to take listeners through the main arguments of the book, by focussing on a particular aspect of the penalty: its use to address ‘deviant’ female behaviour. It will discuss the treatment of women in late Roman criminal law and the role of the household and the increasingly Christian community in dealing with ‘female’ crime, to understand better why monastic penance was apparently often (but by no means exclusively) imposed on women.